With the Star Wars - Episode IX casting announcement made by J.J. Abrams a couple of weeks back, we learned that not would the mainstays return for this final episode, but we would get a few newcomers as well. 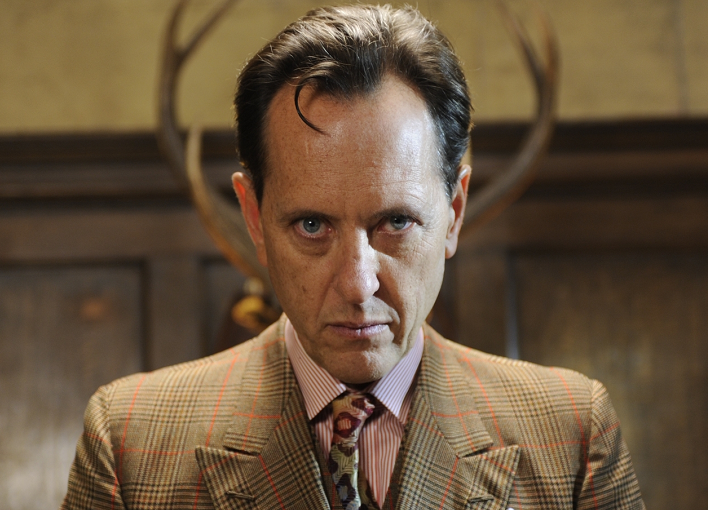 One of those newbies was long time actor Richard E. Grant who most recently appeared in the movie Logan starring Hugh Jackman. Grant, along with Keri Russell and Naomi Ackie, have been the subject of rumors every since about which characters they would be playing in this final episode of the trilogy. One rumor that has persisted involving Grant was that he would be playing the Chiss resident and brilliant military tactician, Grand Admiral Thrawn. 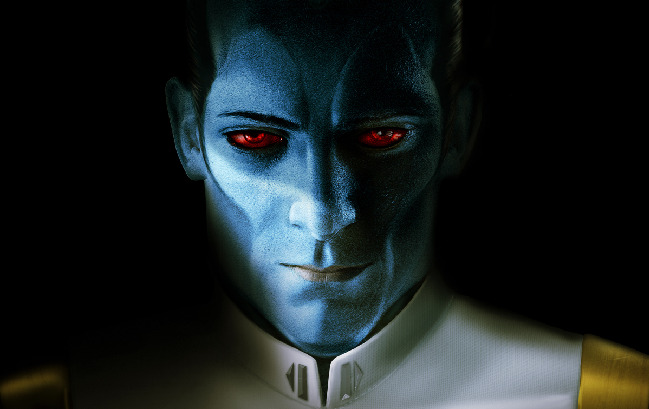 This rumor started I believe because someone online suggested they have similar features, and with the release of Timothy Zahn's latest novel, "Thrawn: Alliances", the rumor was born. If you're a fan of Star Wars Rebels then you know the last time we saw Mitth'raw'nuruodo was when he was whisked away by a fleet of purrgils, with Ezra Bridger in tow, off to the unknown regions, that was around 2 BBY. Neither he, nor Bridger, have been heard from since so his absence for the last 36 years would have to be explained not to mention his age would be something the writers would have to reconcile. Interesting how he didn't mention Thrawn by name when responding which tells me he's never heard of the character but also, he immediately says he's not allowed to say anything. Since only one can be true you'll have to decide if he's telling the truth or not. Grant I'm sure is not a liar so I think he's definitely having fun with this, but it is true that these actors are under the highest confidentiality agreements when they sign on for these films. I personally don't believe he's playing Thrawn, but I could be wrong I suppose. To introduce a character of that magnitude in the last episode of the series seems not only unlikely but poor storytelling as well. What does everyone think? Is Richard playing Thrawn and if not, what character do you think he'll play? Let us know! To read the full interview at Radio Times, click HERE.